Khloe Kardashian put on a brave face — making a very public appearance just days after her split with Tristan Thompson — as Jordyn Woods packs her bags to move out of Kylie Jenner‘s home. Khloe was at the opening of Pretty Little Thing on Melrose in West Hollywood Wednesday night. Kardashian looked somber, but took a short time to pose for pics in a flurry of flashes on the red carpet. Sources close tell us Khloe considered canceling her appearance but wanted to make sure she kept her professional commitments … and didn’t let anyone down. 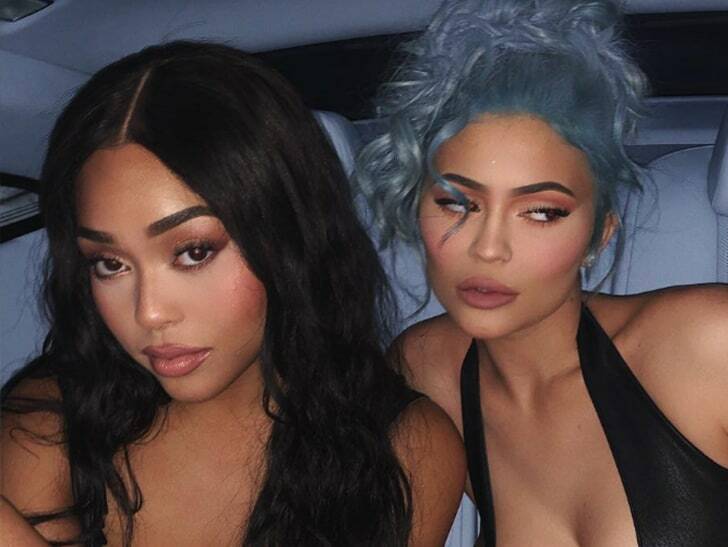 Sources connected to Jordyn tell us the 21-year-old will be moving out of Kylie’s Hidden Hills mansion and in with her mom. We’re told the decision to move out was Jordyn’s. As for Khloe … our sources say she’s devastated over the split with Tristan, but is trying her best to keep a brave face for her daughter, family and friends. TMZ broke the story … Khloe split with Tristan after the NBA star allegedly hooked up with Woods at a house party in L.A. Sunday night. Kim Kardashian unfollowed both Jordyn and Thompson on Instagram Wednesday. Neither Jordyn or Tristan — who was quick to tweet and delete “FAKE NEWS” after the story broke — have made an official comment on the incident.